Canadian expat and blogger Elisa Rathje takes us round her stunning 17th century home, and lets us into a few secrets about her handmade style and homespun living! There aren’t that many people that you can safely say make and restore most of the furniture and furnishings for their own homes, but that is precisely what Canadian blogger Elisa Rathje does! 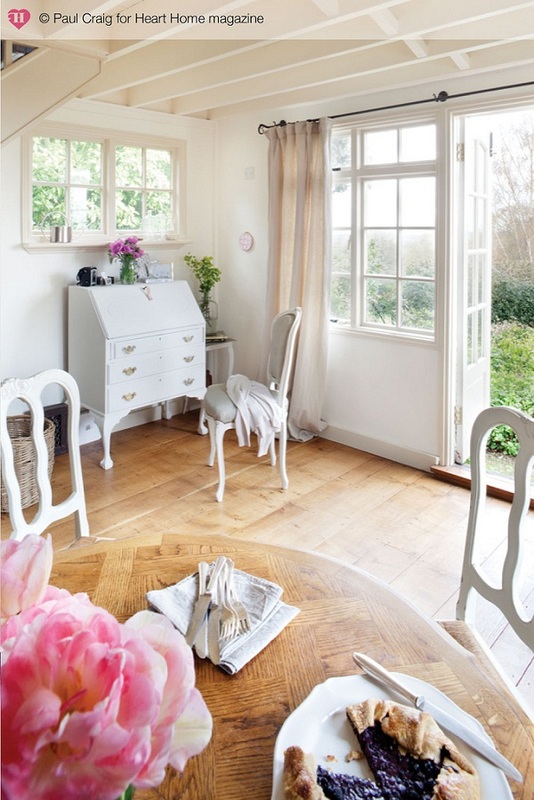 The handmade chic of this inspiring writer is very much in keeping with the style of the historical property that Elisa shares with her husband and two young girls in West Sussex. 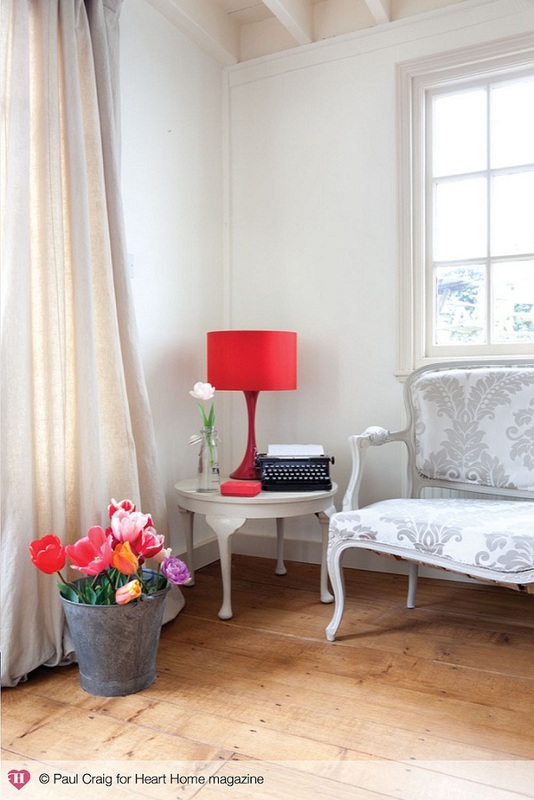 The 400 year old building was originally a Wheelwright and has undergone a few transformations in that time - and for theRathje family it was love at first sight! Elisa explains, “Originally we looked at another property; it would have been so easy to live in – it was very straightforward, nothing weird or unexpected, but in the end we couldn’t not go with this property (Knave’s Acre) – it was so unusual, and there’s so many stories”. The layout of the property is very unique due to the nature of the origins of the building. Unusually, there are four levels in total! But Elisa has a very strong feeling of historical perspective, and she is sympathetic to the period style of Knave’s Acre and the subsequent changes that the building has been through. Elisa loves to learn traditional skills. 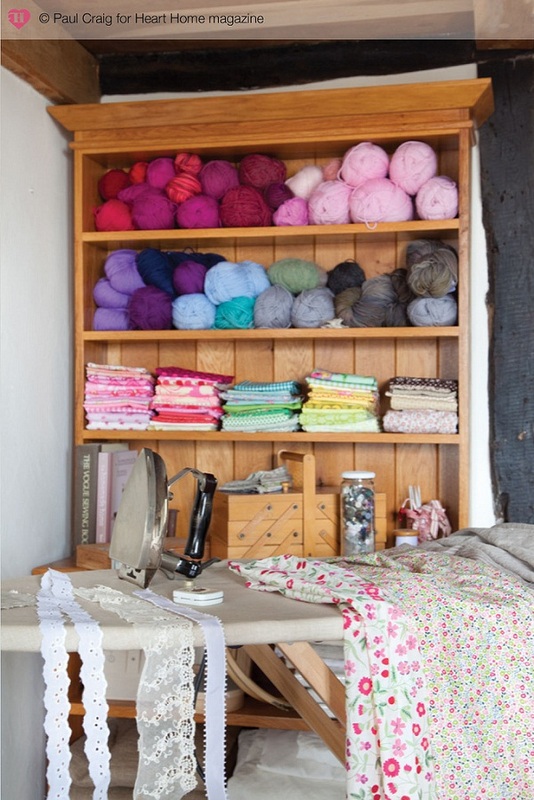 The list is almost endless – pottery,quilting, spinning,sewing,shirring,dressmaking,knitting,woodturning and preserving: “I’ve always learned what I need to learn to make an idea happen. I’ve never focused on one particular medium…and I love a lot of variety and change”. Obviously Elisa uses these skills to furnish her home, creating a wonderful backdrop to a creative and domestic life filled with the aroma of home-baking; using organic ingredients of course. Not only that, everything is shared with her readers on her blog Apple Turnover. Her ironing board is wood; there is an old fashioned iron on it. Her sewing machine is vintage. There doesn’t appear to be anything plastic in the house, although Elisa did say the children had some Lego! This article originally appeared in the Summer 2012 issue of Heart Home magazine.